These Vampire Donuts are so cute, I can not stop smiling looking at them. They will have the affect on everyone. It is such a simple adorable treat that will be the hit of any Halloween party. If you are like me, than you don’t need a party to serve up these Vampire donuts. It is the perfect breakfast to serve on Halloween. My kids had just as much fun putting these Vampire donuts together as they had eating them. 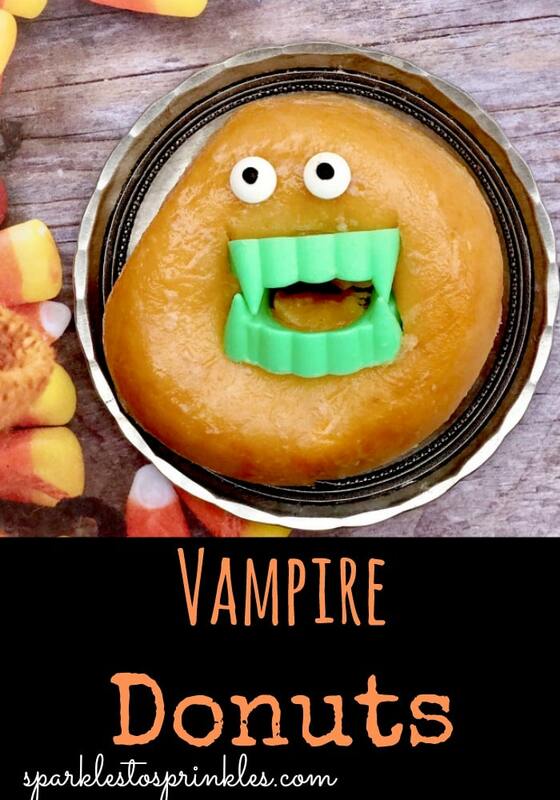 Take a pair of your Plastic Vampire Teeth and carefully place them in the circle part of the donut. Donuts come in all shapes, so you might not get a perfect fit, however, they will still look pretty festive! 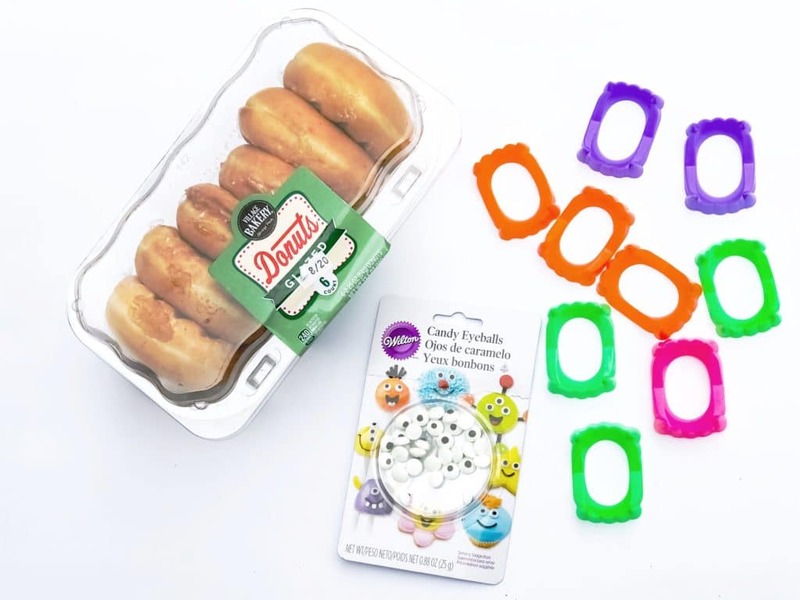 Now take your Candy Eyes and stick them onto your donut. The glaze from the donuts should hold the eyes in place. You now have Vampire Donuts! Easy peasy to make and sure to be a crowd pleaser!